For Travelers, How Smart Is the Smartwatch? Dustin N Salzano is sharing an article of Apple’s Smartwatch that has ben taken from NYtimes. Apple’s new smartwatch can track your heart rate, pay for your Chicken McNuggets and give you turn-by-turn directions by sending vibrations to your wrist. You can even buy one in 18-karat gold. The device, which will be available early next year, is the latest in slick, wearable technology, a growing category that includes Google Glass, Jawbone’s Up fitness tracker and Liquid Image’s goggle-cameras. But are these innovations really game-changers for travelers? On one hand it’s amusing to contemplate the promise of wearable technology, or wearables, when the travel industry is still trying to solve basic problems like how to board 300 people onto an airplane without the process devolving into a stampede. I’m reminded of the psychologist Abraham Maslow’s “hierarchy of needs” — the pyramid that illustrates how rudimentary physiological requirements like food and shelter must be met before we can concern ourselves with less crucial desires. If there were such a pyramid for travel, boarding a plane with Jetsons-style alacrity would come before watches and glasses that alert us to the nearest Margaritaville. 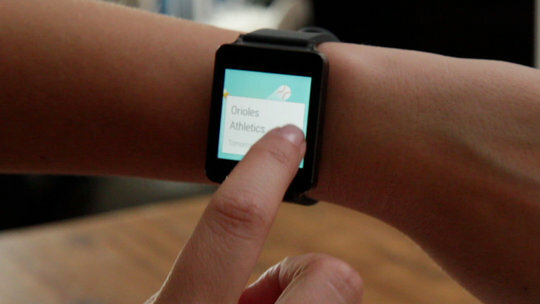 On the other hand, wearables, particularly the Apple Watch, could eventually transform the way we travel. Given that sensors on the back of the device can track your pulse rate, perhaps it might also detect if you’re becoming unruly during a flight and follow up with a zap to your wrist and a stress-reduction video? Fantasies aside, some technology and travel experts see real-world potential in wearables, even though many are most likely years away from being what we want them to be. Indeed, during the conference, Apple said that over time the watch’s Workout app “gets to know you the way a personal trainer would” and suggests goals based on your workout history. This ability to use your personal data and history to suggest things you might want is what could put Apple ahead of its competitors, Mr. McQuivey said. Who knows what kinds of personalized real-time recommendations the Apple Watch might be capable of making in the future? Airport restaurants you’re likely to enjoy? Museum exhibitions? 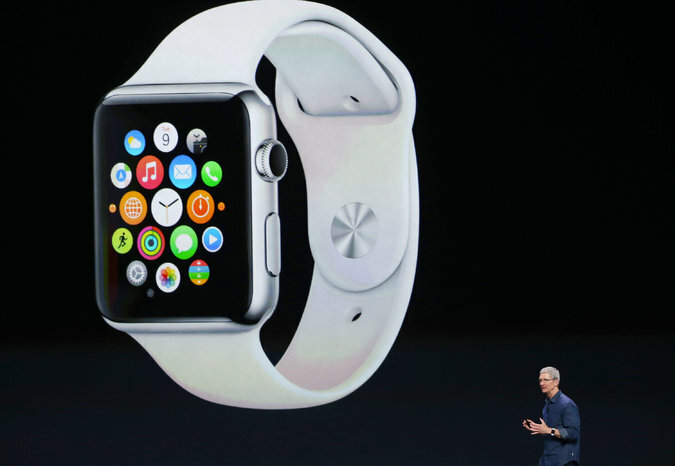 Times technology columnist Molly Wood says Apple has a chance to make smart watches a hit. But let’s get to what will actually be available early next year when the Apple Watch comes to market. One of the biggest boons for travelers involves maps and GPS: Walk through a city and the watch can deliver different vibrations to your wrist to indicate whether you should turn left or right, so you don’t have to wander the streets peering at a tiny device (or be a good map-reader) to know which way to go. “It’s like having this invisible guide with you,” Kevin Lynch, vice president of technology for Apple, said during the news conference. Another helpful travel component is the watch’s health and fitness features, particularly its ability to show how often you’ve taken a break from sitting. The watch senses when you stand up and logs that information. Sitting too long? The Apple Watch reminds you to get up — welcome prodding for those who spend hours in cars or planes. As you might expect, the watch will also have apps from leading travel brands such as American Airlines and Starwood, although it’s hard to get excited because versions of such apps are available on smartphones and tablets. There are a few twists: An app from Starwood, for instance, will allow you to unlock your room at any W Hotel in the world by waving your watch in front of the door. But frankly, opening my hotel room door with my watch was never on my wish list. And of course some travelers will like that the Apple Watch has Apple Pay, a new mobile system that allows you to pay at the registers of places as varied as McDonald’s and Walt Disney World. Until the system is ubiquitous, I’ll be carrying my wallet. I’ll also be carrying my iPhone because, well, you must in order to use all the features of the Apple Watch — and that’s a real drawback for travelers who aim to carry fewer, not more, devices.